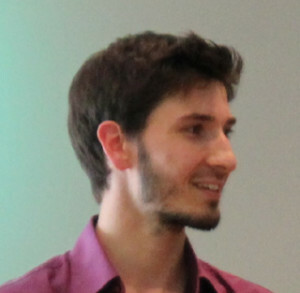 Nicolas Diotel has received his PhD degree from the University of Rennes 1 (France) in December 2011. He investigated the role of steroids and notably estrogens in adult neurogenesis and brain repair mechanisms in zebrafish (Danio rerio). Then, from January 2012 to August 2013, Nicolas Diotel performed a postdoctoral training with the Pr. Dr. Uwe Strähle and the Dr. Sepand Rastegar in the Karlsruhe Institute of Technology (KIT) in Karlsruhe/Eggenstein-Leopoldshafen (Germany). His research focused on the role of transcription regulators in the maintenance and the activation of neural stem cells during constitutive and regenerative neurogenesis in zebrafish. In September 2013, he was recruited as an assistant professor at the University of La Réunion and he contributed to teaching activities in Neurosciences and Physiology. He joined the Study Group on Chronic Inflammation and Obesity (GEICO) for investigating the targets and effects of peripheral inflammatory factors in the central nervous system, in links with metabolic diseases. Indeed, in diabetes and obesity, inflammatory factors are produced and secreted by adipose tissue. Such factors could disturb the blood brain barrier integrity and modulate more or less directly neural process. –Comprehensive expression map of transcription regulators in the adult zebrafish telencephalon reveals distinct neurogenic niches. Diotel N, Rebecca RV, Armant O, März M, Ferg M, Rastegar S, Strähle U. –Aromatase, estrogen receptors and brain development in fish and amphibians. Coumailleau P, Pellegrini E, Adrio F, Diotel N, Cano-Nicolau J, Nasri A, Vaillant C, Kah O. Biochim Biophys Acta. 2015 Feb;1849(2):152-162. doi: 10.1016/j.bbagrm.2014.07.002. Epub 2014 Jul 16. Review.